Electronic Arts and Maxis have released a new “Brilliant Backyards” update for The Sims FreePlay, adding support for Apple’s ARKit 2 to allow users to not only place their Sims in real-world settings, but also share real-time co-op building experiences with a friend. Users can build their Sims’ dream homes in a real-world environment, and even tie the AR experience to a specific location so they can return to it anytime. A trailer has also been published demonstrating the new ARKit features. 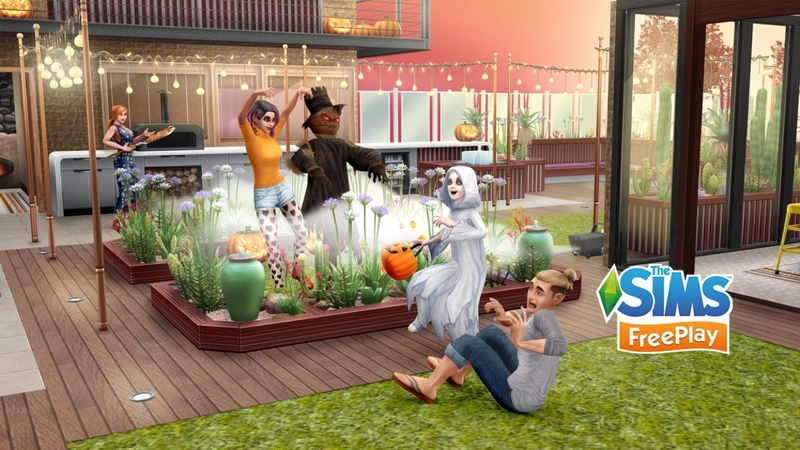 The Brilliant Backyards update also adds a collection fo new seasonal content for autumn and Halloween, along with new events and Halloween-themed seasonal quests. Players can unlock the latest outdoor items to build up their Sims’ gardens in the new “Brilliant Backyards Live Event” and a new “Fashion Designer Stockings Hobby Event” lets users show off new fall styles in a variety of colourful and patterned stockings, and a “Day Spa Live Event” coming next month will allow Sims to go and hang out at the spa. Lastly, the “Halloween Ghost Flustered Seasonal Quest” will run from Oct. 23 to Oct. 31, providing fans with costumes and spooky activities for the Halloween season. The Sims FreePlay is available as a free download from the App Store; ARKit features require an iPhone 6s or later, iPad Pro, or 2017 or later iPad.